SAN LUIS OBISPO — Cal Poly animal science junior Sarah Dreyer was recently selected to serve on the Agriculture Future of America (AFA) Student Advisory Team. AFA provides personal and professional development experiences for college students and young professionals in food and agriculture. Dreyer, of Exeter, California, and nine other team members were selected through a competitive application process to serve as AFA’s student voice and represent their peers on a national level. They will serve as ambassadors between AFA and their college campuses and AFA’s corporate partners. A major component of the Student Advisory Team’s responsibility is the planning and delivery of the 2017 AFA Leaders Conference to be held in November in Kansas City, Missouri. The event is AFA’s core leader development program, with more than 750 delegates from across the nation in attendance. The Student Advisory Team and 19 AFA Campus Ambassadors met in early April to kick off the planning process. Dreyer’s involvement in the leader development program began her freshman year at Cal Poly when she was selected as an AFA Leader and Academic Scholar by the California Cotton Alliance. Since then, she has attended two AFA Leader Conferences, two AFA Leader Institutes and served as a Campus Ambassador. 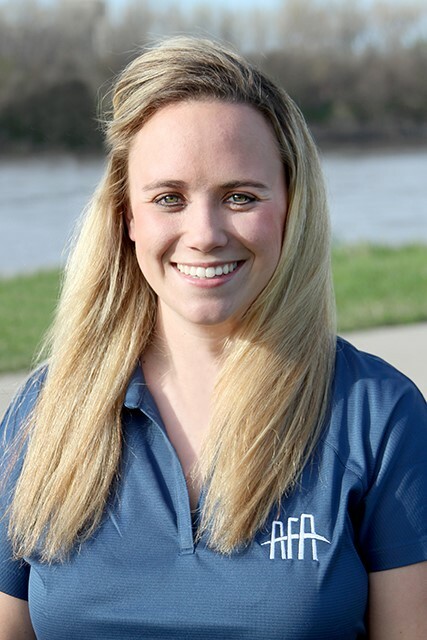 In addition to her involvement with AFA, Dreyer is active in other organizations including American Society of Animal Science Scholars, Cal Poly Agriculture Ambassadors, National FFA, Animal Science Student Advisory Council, California Farm Bureau Federation and the Young Cattlemen’s Committee. Agriculture Future of America builds bridges for young leaders to foster engagement and innovation in food and agriculture. With program participation increasing 61 percent in the last five years, AFA leader development programs have impacted 15,000 college leaders and young professionals from more than 200 colleges and universities throughout 43 states since its inception in 1996. AFA has awarded more than $9 million in academic and leader development scholarships. For more information about AFA, visit www.agfuture.org or contact Megan Karlin at megan.karlin@agfuture.org. Cal Poly animal science junior Sarah Dreyer was selected through a competitive application process to serve on the Agriculture Future of America (AFA) Student Advisory Team.